Developed by the Doctor to keep the doctor away. Dainese’s new D-air racing suit will bring the benefits of research and development work by Valentino Rossi to the trackdayer and amateur racer. The new airbag-equipped leathers have been developed in private testing by the nine-times world champion and he is expected to wear it in competition. The stand-out developments for professionals like Rossi surround the suit itself rather than the airbag inside it. New integrated LED lights will illuminate if the airbag is activated, helping following riders pick out the faller if the conditions are bad on circuit. Comfort is boosted by a new lining arrangement around the knees to prevent bunching, and also a new one-piece elasticated stretch panel that extends from the shoulders down to the lower spine. The elbow sliders have also been redesigned with a new attachment method that no longer requires tools for removal and replacement. For the rest of us, the main development does surround the airbag itself. It’s been extended to encompass the chest and ribcage, as well as the shoulders and neck that were already covered on the previous customer-spec suit. 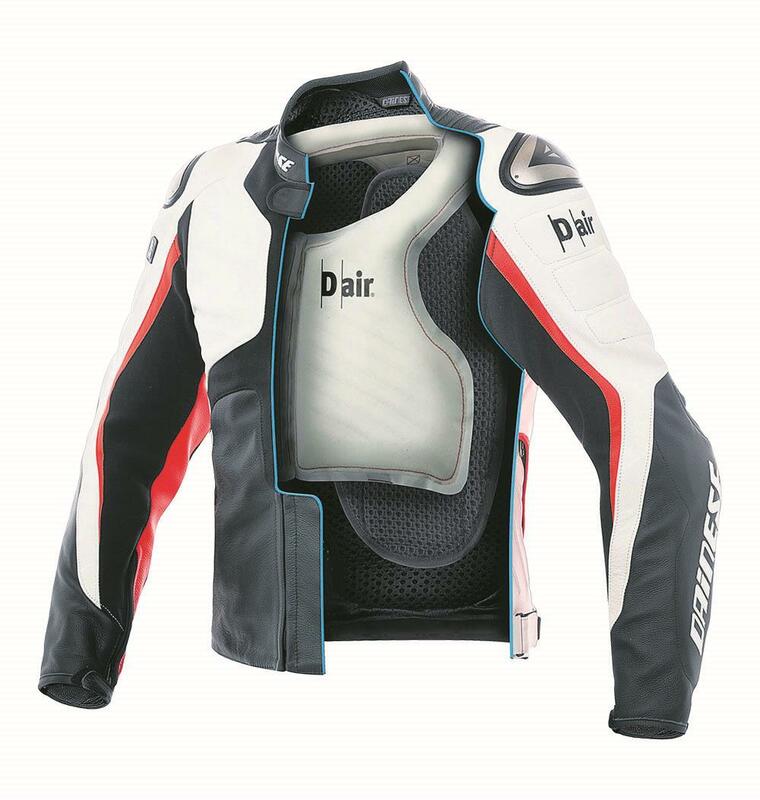 The extended airbag was introduced for Dainese’s supported racers in 2014 after feedback from the organisers of the MCE British Superbike Championship. Now this will be available to all customers. This is the race-spec suit that can only be worn for track use as it detects accidents using onboard datalogging equipment. The system uses years of recorded data from track accidents to know when a crash is in progress, which makes it unsuitable for normal road use. 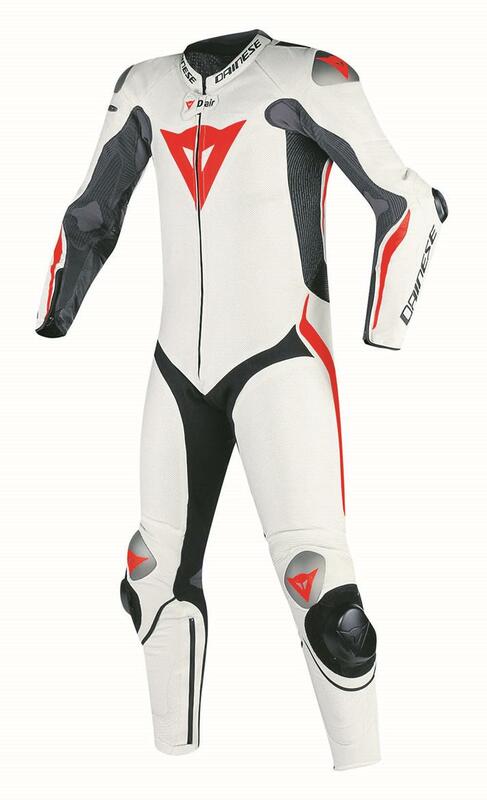 The new suit will go on sale next Spring and will cost an estimated £3400, based on current exchange rates from Dainese’s confirmed European price of 3999 euros. Standard sizes run from 34in to 50in chest, but for around 30% extra there’s the option of a custom-made suit. Where the racing suit can’t be used on the road, this leather jacket can. The airbag inside covers the shoulders and chest and is triggered by a standalone datalogging system.